In May 2011, five Magnum photographers –Paolo Pellegrin, Jim Goldberg, Susan Meiselas, Alec Soth, Mikhael Subotzky – and a writer, Ginger Strand, set out from Austin, Texas, in an RV. Two weeks and 1750 miles later, they arrived in Oakland, California. 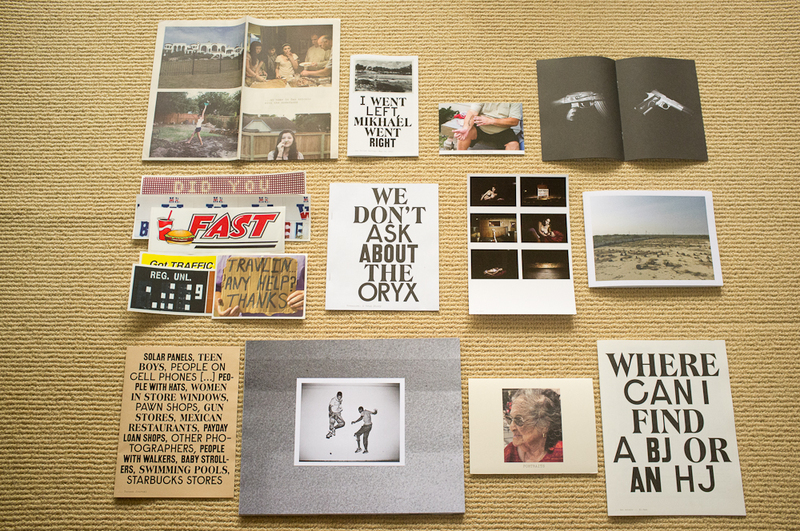 I received my copy this past week and it has exceeded all my expectations of what a photobook can be. It’s like receiving a care package from your college friends who just went on a road trip – but this one is filled with photographic goodies. Aside from the typography the box is unassuming and it could have said Fedex or DHL instead. This sets the overall tone of what’s to follow as you open the box and discover its contents. Even the sticker where the photographers and writer have signed their names is stuck on in a very non-ornamental way. 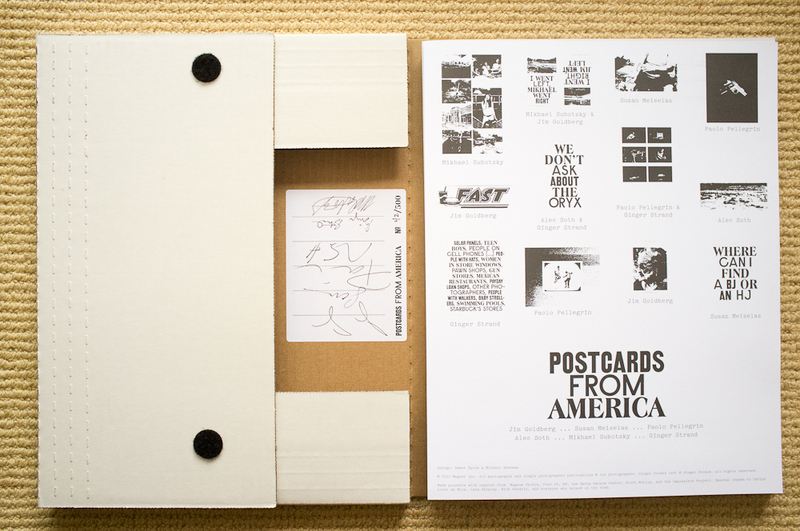 The “cover page” as shown in the photo above is comprised of high contrast images of the objects and “postcards”. 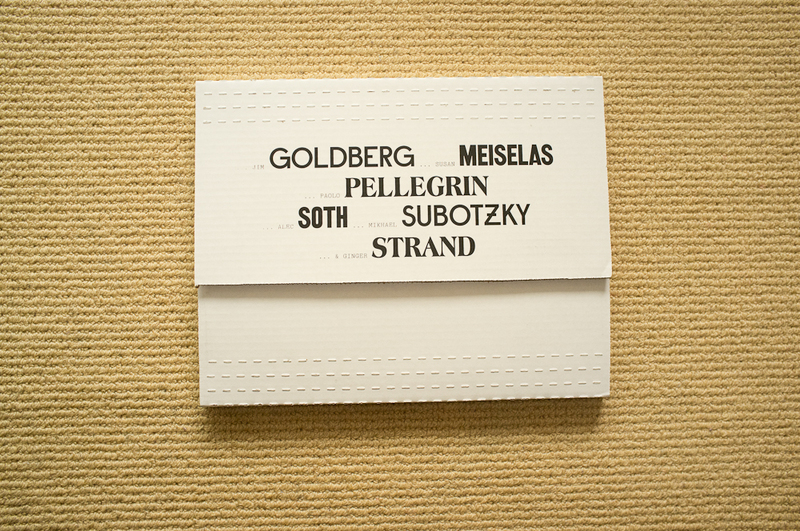 It gives a sense of cohesiveness to the disparate jumble of materials. This is definitely not Robert Frank’s “The Americans” as there is no singular view imposed but instead multiple disparate narratives. 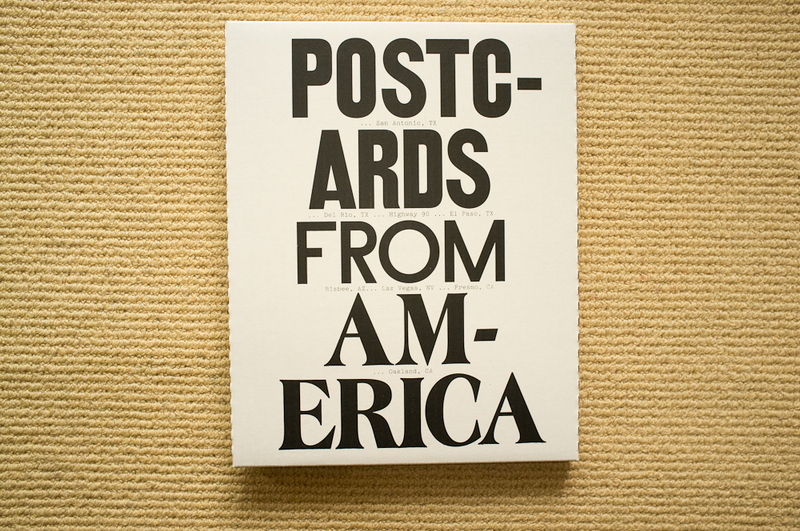 Whereas “The Americans” focuses on what can be seen “Postcards” is more about what is absent and searching without finding. I think what the authors are getting at is that only in America can such contrast exists side by side. That America is a whole bunch of parallel universes both perceived and actual all wound up into one big hodge podge. This reading of the work is strongly alluded to in Ginger Strand’s writing in the various zines. And also in the “I went right, Jim went left; I went left, Mikhael went right” wherein we meet a conflicted character that is both a caregiver and abuser? One of my favorite photos is the abandoned pool that is filled with turf and grass. It’s about making do and turning contradictions into something that seems almost natural. You don’t see that it’s a pool until you realize where the diving board goes. It’s photos like these that provide the anchors to the entire collection. I’m sure I’ll find some more gems as I digest the work over the next few weeks. Here’s a link to the official site. 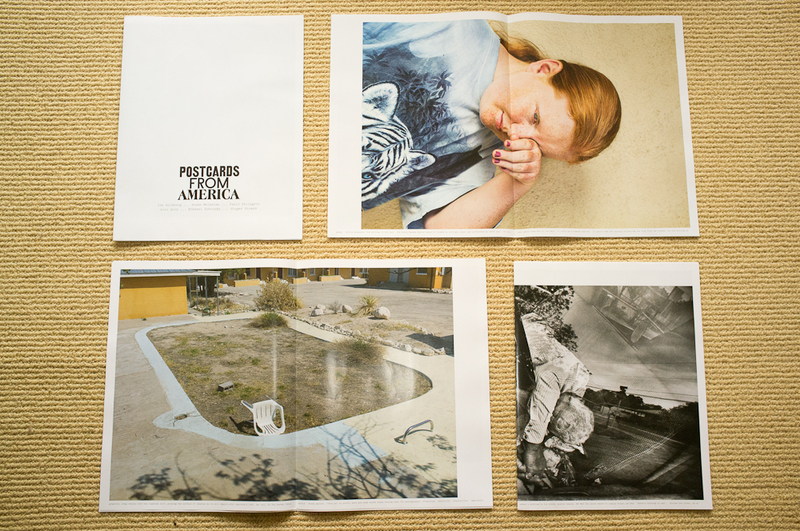 This entry was posted in Books and tagged Alec Soth, Ginger Strand, Jim Goldberg, Mikhael Subotzky, Paolo Pellegrin, photo book, postcards from america, Susan Meiselas by Adventures in Photography. Bookmark the permalink. Thanks. By the way I like your blog and now following it. This was a truly inspired way of documentingpeoples lives. Awesome. I want to buy one. The postcards from America trip through the Rockies looks like its going to be great too. I applied to be part of the team driving and documenting the trip. Thanks for the comment. Hope you get picked to drive!